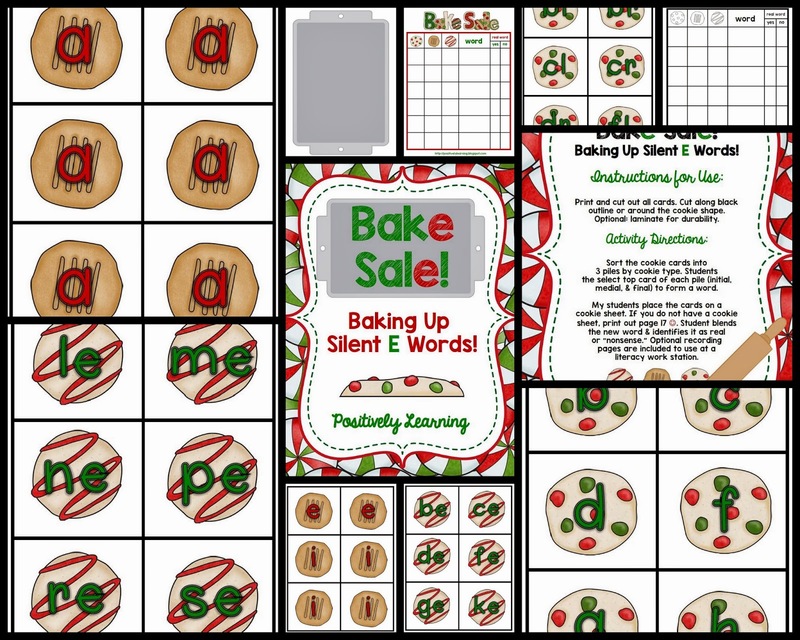 Simply Centers: Bake Sale: Silent E Freebies! Bake Sale: Silent E Freebies! I'm stopping by to share what my students will be up to as we return from the long Thanksgiving break. We just finished testing our reading levels and then switched around our Power Hour (Guided Reading) based on the results (every single student grew, YES!). Today is our first day of our new groups. Our entire grade level wrapped up practice with Silent E spellings before break. I'll be working with the lowest reading group, so we will be spending our whole group mini-lesson (first 10 minutes of Guided Reading before we split into our groups) reviewing our skills. Please stop by my store to pick up this freebie!